£10,995 Finance From £238.94 p/m*. FRESH MOT AT POINT OF SALE. A sleek and sporty SUV from Korean manufacturer Kia that comes with head-turning looks, a well-built interior and plenty of useful equipment. For a small SUV there's plenty of space on offer in the cabin and the car's responsive ride makes it plenty of fun on the open road. 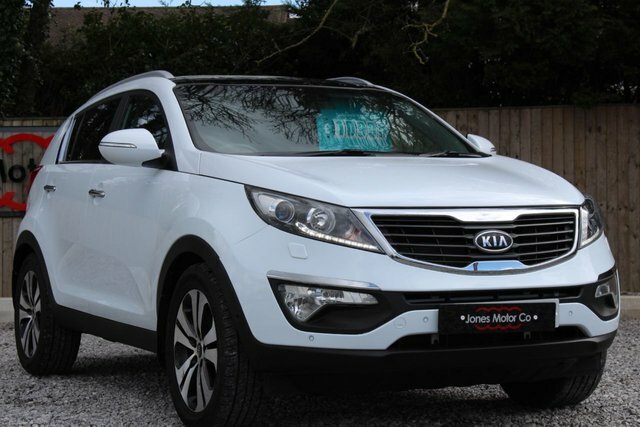 Get behind the wheel of a used Kia Sportage today by paying a visit to Jones Motor Company in Chester. We're a leading supplier of quality used cars and you'll find a superb range of options for sale on our forecourt. You'll also find our complete range of pre-owned vehicles listed here on the website. Be sure to contact a member of the team with any questions. Finance is available to UK residents aged 18 years or older, subject to status. Terms & Conditions apply. Indemnities may be required. Other finance offers may be available but cannot be used in conjunction with this offer. We work with a number of carefully selected credit providers who may be able to offer you finance for your purchase, commission may be received. We are only able to offer finance products from these providers. Postal Address: Jones Motor Company, Ffordd Maelgwyn, Tremarl Industrial Estate, Llandudno Junction, Gwynedd LL31 9PL. Find contact details here. Jones Motor Company is authorised and regulated by the Financial Conduct Authority, FRN: 685359. All finance is subject to status and income. Written Quotation on request. We act as a credit broker not a lender. We work with a number of carefully selected credit providers who may be able to offer you finance for your purchase. We are only able to offer finance products from these providers.